The quickest way to gather small fish and invertebrates in shallow water. 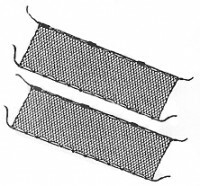 Special poly netting will not absorb moisture and dries fast. Ready to use seines come complete with bottom weights and floats. 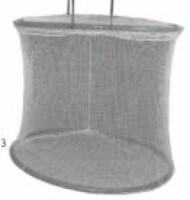 Excellent for field sampling, classroom studies, barriers, rearing tanks in ponds and cages. All nets are 4′ high and have 1/4 inch mesh size with black color netting. Made for medium use. Long lasting, will not rot from water damage. Seines poles are not included but can be made from 1″ PVC or aluminum pipe. Nets can be joined together to make longer nets.